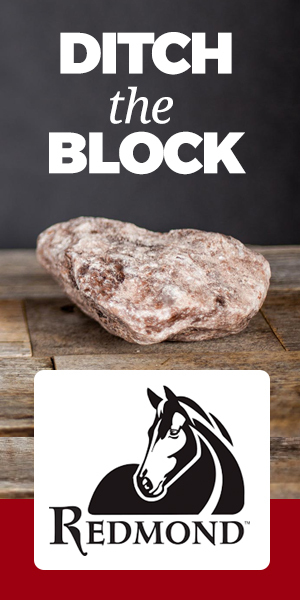 The Road to the Horse has become one of the most popular horse training events in the world. It offers spect ators flashy performances along with shopping experiences in the horse-rich community of Lexington, Kentucky. But what does it offer the horse? More and more horsemen and women believe the event is detrimental to the horse, giving it a frenzied, dumbed-down start they’d never wish on their own colts. “It’s quite appalling what they’re doing to the horses,” said Voigt. 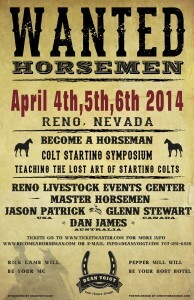 He’s offering a healthy and refreshing alternative with “Become a Horseman, Colt Starting Symposium” in Reno, Nevada. The event features Dan James, Jason Patrick, and Glenn Stewart from April 4-6. There is no competition, so clinicians can offer what’s best for the horses without judges weighing in on their performance. Read interview with Dan James. In the mornings, the horsemen will work with mustangs. Afternoons feature young ranch horses. Each clinician will work with an apprentice, too, so the audience can see and hear the men guide less experienced riders. “I want that interaction, so people can see the little things that need to be done,” said Voigt. 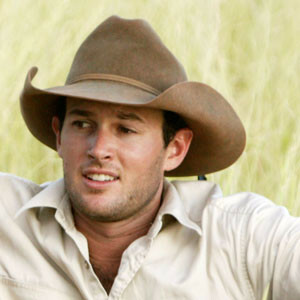 The symposium will be emceed by the popular RFD-TV host, Rick Lamb, and features daily Questions and Answer sessions. Check out details here. Posted in Best Horse Practices, Events, General, Horsemen & Women, Reviews and Links and tagged Dan James, Glenn Stewart, Jason Patrick.